First of all, this is probably one of the most beautiful presentation of spices that I've ever seen. Don't you love it? I do! I was so excited to open up the box and find the Old World Salt Collection from The Spice Lab. 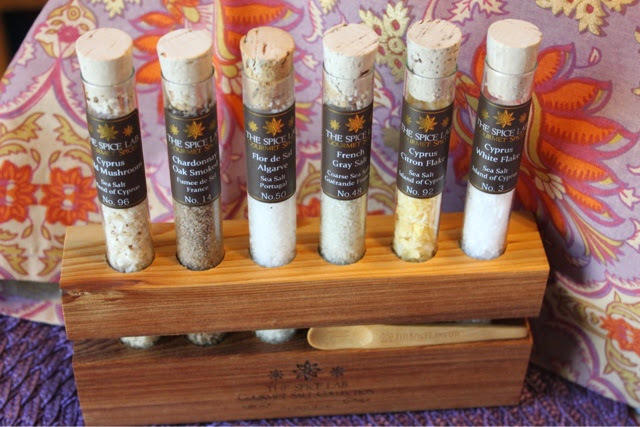 The Old World Salt Collection featured six different salts: Wild Mushroom Cyprus Flake, Chardonnay Oak Smoked, Flor de Sal Algarve, Guerande Gray Salt (Coarse), Citron Cyprus Flake, and White Cyprus Flake. 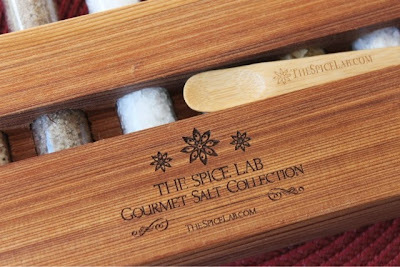 The collection came with a helpful key card that described which salts would work well with different foods and also how the salts should be used in terms such as cooking and finishing. I used the Chardonnay Oak Smoked salt on fish. Delicious! The salt came housed in this cedar stand with scooper. 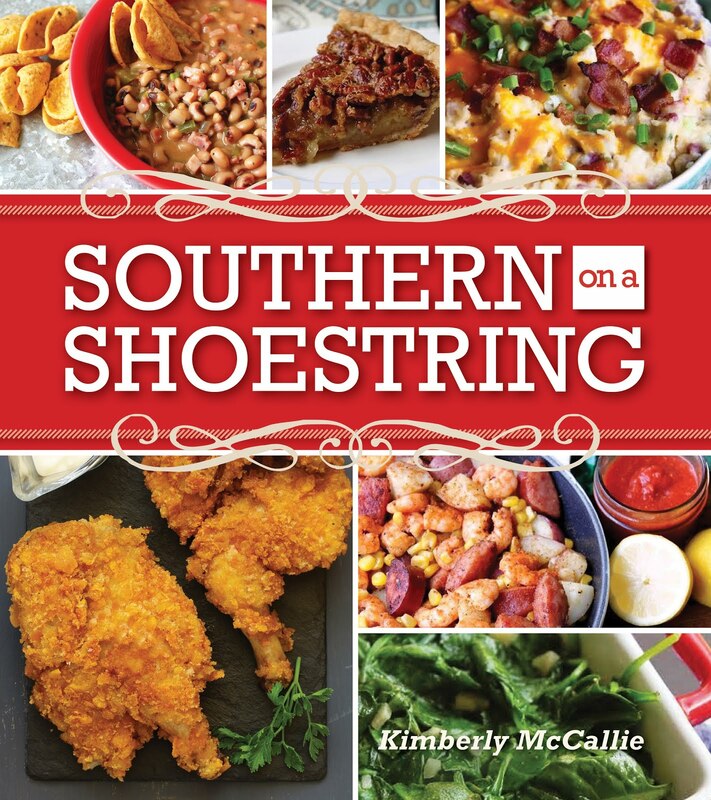 This would make the perfect gift for the foodie in your life. 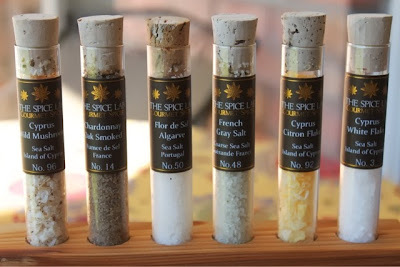 My husband and I share a tremendous love of spices and his eyes really lit up when he saw this collection. He loves nothing more than grinding away on our mortar and pestle. The Spice Lab is more than just gourmet salt. They also sell spices, peppers, spice blends and rubs. In addition to the web site, www.thespicelab.com, products can be found all over the country. See the list of stores here. I'm excited to visit Caviar & Bananas on my next trip to Charleston. 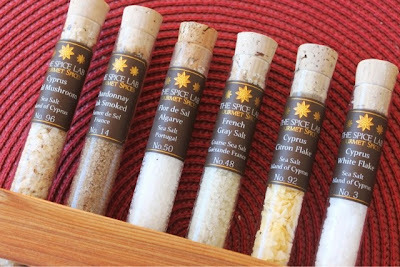 Investing in quality spices can really expand your cooking repertoire by turning ordinary ingredients into something extraordinary. It can also be the perfect gift for the cook who has everything. I don't think you can ever have too many spices. Disclaimer: The Spice Lab provided me with this produce to review; however, the opinion expressed here is my own.